Holidaymakers looking to have a round of golf or two should be interested in the fact that the number of injuries caused by golf buggies is on the increase, according to medical researchers. Lara McKenzie, of the Centre for Injury Research and Policy, believes that this is because the buggies are being used in surroundings outside the golf course, such as airports and college campuses. And worryingly the age of the victims range from two months to 96 years old with the types of injury sustained including concussion or other injuries that result in hospitalisation. Falling or jumping out of the carts were the most common reason for an injury, although some people were run into by the buggies, which are capable of speeds of up to 25 miles per hour. McKenzie added: "Private and public facilities that allow golf cart use can help prevent cart–related injuries by requiring drivers' licenses and safety/operations training, establishing safety policies and considering golf cart safety in the design of pathways and landscapes." Keen golfers looking to play golf while on their holiday should look to take out travel insurance in case they suffer an injury. 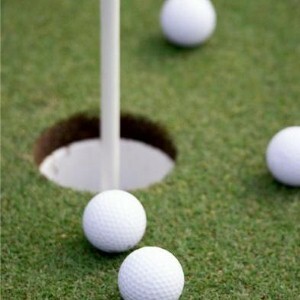 Specialist insurance policies like golf insurance are available.